With economical engines, practical load area and super comfort features, Renault Trafic tops the list of the commercial vehicles. Available in two different types of wheelbases, the vehicle comes with so many models to offer. Considering the success of the previous Trafic range, the company has updated their existing fleet. This development has led to enhancement of the vehicle’s efficiency. Similarly, the cabin quality has been improved and a series of features has been added to make the Trafic vans easy to function with. The good news about Trafic lovers is that the new and improved models are now available with reliable van leasing companies. 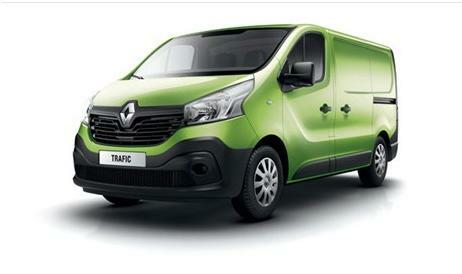 These agencies are giving out Renault Trafic lease vans at reasonable prices. If you wish to add a Trafic in your fleet, contact one of these companies today. Each Trafic model is robust in nature. Besides, they are designed with impressive headlights allowing night haul. If your business needs you to travel to distant places, this commercial van can be the right choice. Its comfort and safety features will enable you to do business in safety. They are embedded with hill-start assist, whereby allowing smooth drive. Its front log lights work to improve visibility at the time of rain and fog. Moreover, the tyre pressure monitoring system will help you to have an eye on the tyre pressure to prevent accidents. Aside, the all-new Renault Trafic offers an extra storage space for more loading and unloading of cargoes. The models come with almost fourteen separate compartments. Whether you want to store light or heavy items you can store them in the compartments easily. You can even consider loading liquid goods in the van provided you have added an accessory to hold bottles or any other liquid items. On the top of that, the vehicle comes with an ultra-modern cockpit that boosts easy and safe navigation. The note worthy feature in the Renault Trafic vans is the highly economical engines, which are developed with Twin Turbo technology in combination with Stop and Start and Electric Smart management. It is because of the cost-efficient engines that the van is able to cut the fuel consumption to a great extent. Besides, the mechanical side of this van is excellent. The six speed gearbox enables reactivity and the light steering allows the van to be manoeuvred for long. So, if you wish to lease this van, then look for exciting van leasing deals. The company, Renault has accessorised their lines of Trafic with trunk protector and dynamic alarm system. Where the trunk protector works to protect the vans from scratches, the alarm system keeps the driver alert, thereby bettering the vehicle’s security. Moreover, the tow bars get easily adjusted to the van’s ESC system to ensure that the Trailer Swing Assist is quickly activated. When it comes to its everyday look, the van’s logo adds to the dynamism. Moreover, its rubber carpet mats enhance the overall look of vehicle. Next page Next post: These Unique Car Safety Features Will Blow Your Mind!